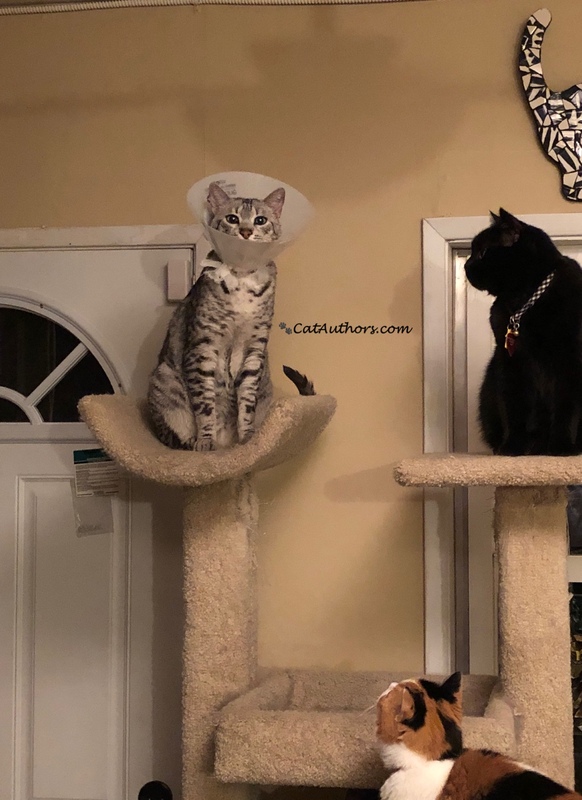 Spirit: "I got up here with my cone on!" Inkee-Bear: "What IS around his neck?" Sophee: "I don't know. Better him than me!" Inkee-Bear: "You're so right! Wonder if it has to do with that mosquito bite?" Sophee: "I bet it does. Well, he loves to go outside in his stroller & that's where the mosquitos are." Spirit: "They're all wonderin' why I have this cone on & why I had to show them that this cone couldn't hinder me. But Meowmuh knows. That's why she named me Spirit!